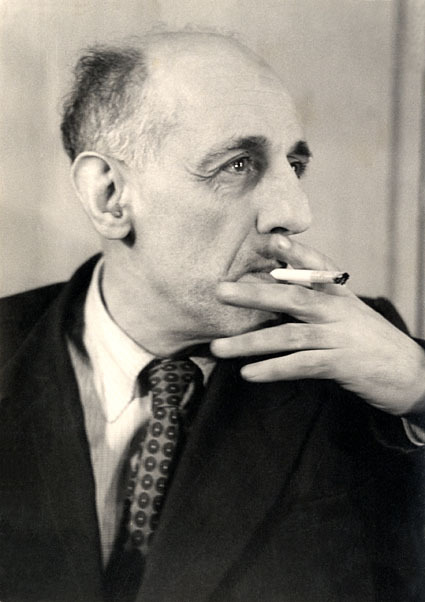 Yury Borisovich Rumer was born on April 28, 1901. In 1917, he entered mathematical faculty of Petersburg University, and in April 1918, he changed it for Moscow University. Because of revolutionary events, Yu.B.Rumer graduated from the university just in 1924. However, besides his university education he got also thorough skill of optimistic vital stability that was so useful for him later on. 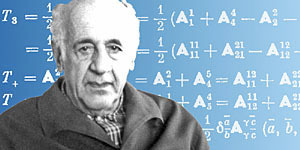 After his graduation from the university, during the severe unemployment, Yu.B.Rumer taught at worker's schools of Moscow and worked as statistics specialist in State Insurance, and at the same time he studied special and general relativity theory. His interests tended progressively from mathematics towards physics. In 1926, Yu.B.Rumer's father could obtain biennial business trip for his son to the Higher Polytechnical School in Oldenburg (Germany). However, it was not absolutely the point that Yu.B.Rumer desired, and after he had got the technical diploma in 1929, he left for Goettingen, which was at that time among the centres of «new quantum faith». That small town attracted the talented youth from all over the world. As he arrived there with the work in the general theory of relativity and obtained the Lorentz grant under recommendation of Einstein and Ehrenfest, Yu.B.Rumer worked in 1929-1932 as an assistant for Max Born, the head of theoretical physics in Goettingen. Heisenberg, Pauli, Dirac, Fermi, Teller, and Oppenheimer were among Born's collaborators. Yu.B.Rumer, together with H.Weyl, W.Heitler, and E.Teller, became one of the founders of quantum chemistry. His pioneer works contributed to formative stage of this branch of knowledge. In 1932, Yu.B.Rumer moved to Moscow and became the professor of Moscow university, where he worked until 1937. In 1935, he got a scientific degree of Ph.D. in physics and mathematics, and became the employee of the AS Physical Institute. By 1938, Yu.B.Rumer was one of personalities who headed the Soviet theoretical physics. He conducted an active scientific work, published books that gained currency quickly: «Introduction to wave mechanics» (1935); and «Spinor analysis» (1936). Rumer closely cooperated with Landau during this period. Classical theory of space downpours (Landau-Rumer theory) was one of the most interesting results of that cooperation. The theory of solid body includes a well-known formula of Landau-Rumer for high-frequency sound absorption in dielectrics. The authors pioneered considering the processes of disintegration and merge of waves that were of major importance in physics of wave phenomena. Later (in 1950s) Landau and Rumer have written a popular book «What is the relativity theory?». Published just 20 years later, the book aroused great interest of readers and sustained numerous publications in more than 20 languages of the world. Yury Borisovich successfully applied his extensive physical and mathematical knowledge to solve practical problems. We could remark here his works that deal with problems of an antivibrator of torsional vibrations in complex systems, in bent shafts, and vibrations of a wheel in its rolling motion (shimmy of aviawheels). The results of these works were directly applied to domestic aircraft industry. In 1938, Yu.B.Rumer was arrested and sentenced to ten years of imprisonment. He served his term of imprisonment not in a camp, but in so-called "sharaga", together with top-skill professionals, talented and interesting persons. Upon termination of his imprisonment term, he was banished for free settlement to Yeniseisk. In early 1950s Yu.B.Rumer taught in Yeniseisk teacher's institute, while he continued working in a broad variety of fields in theoretical physics. During that period, he had found an exact decision of the Navier-Stokes equations for a flooded jet with a finite impulse flow. This decision is one of the benchmark points of hydrodynamics. In 1953, he was enlisted as a senior research associate of West-Siberian Branch of Academy of Science. At the same time, he finished a cycle of the works that dealt with constructing of five-dimension field theory. Results of the research are disclosed in a monograph of Yu.B.Rumer «Studies on 5-optics» (1956). From 1956 to 1964, Yu.B.Rumer is the director of Institute of Radiophysics and Electronics (IRE), the first institute in the field of physics in Novosibirsk. This period involves his works on statistical physics and theory of phase transitions, wherein he demonstrated a brilliant skill in mathematical apparatus of theoretical physics. Despite substantial achievements and despite the fact that it was in the Rumer's institute where the Siberian first gas laser had been put into operation (in 1962), the Institute of Radiophysics was disbanded in 1964. Creation of SB AS USSR resulted in that new institutes have been founded. In 1964, IRE was united with the Institute of Semiconductor Physics, and the theoretical group that Yu.B.Rumer created turned into a theoretical department of the new institute. After a short working period in the SB AS USSR Institute of Mathematics, Yury Borisovich began working in the Institute of Nuclear Physics (since 1967). His main scientific interests at this time involved methods of group theory in the modern-day physics of elementary particles. Yu.B.Rumer was also involved in teaching. It centred around the Novosibirsk State University during almost two decades. Yury Borisovich Rumer died on February 1, 1985. He was buried in Novosibirsk. 3. Dubniscyeva T. «TORZHYESTVYENNO VOPROSHAYU TYEBYA!..» // Za nauku v Sibiri. - 2001. - N 17. Updated: Wed Feb 27 14:46:44 2019. Size: 11,567 bytes.